Willie Nelson song lyrics with guitar chords along with many other country artists are available on this web site for your personal use. Willie is a man that rose from obscurity to one of the best known figures in the world. 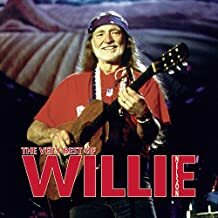 I think Willie must have been born a music genius, just look at the music on some of the songs he wrote. Some of his songs are easy enough for us amateurs to play while others are anything but easy. He’s enjoying a tremendous career, his vocal ability and song writing skill have made him a living legend, and rightfully so. Since releasing his first single Willie has given us countless albums from country to gospel and in between. The songs he has written are beyond measure and so many wonderful classics are among them. Willie Nelson is a true legend in the country music industry and we will forever be grateful for the great songs he gives us. I can just see him picking his old guitar, it will be in the hall with Willie. Your country song collection wouldn’t be complete without a few of Willie Nelson classics. It will take a bit of practice for some of the more difficult songs, but you can learn them, it will be well worth your effort. We hope you enjoy these country lyrics with guitar chords, enjoy your music.